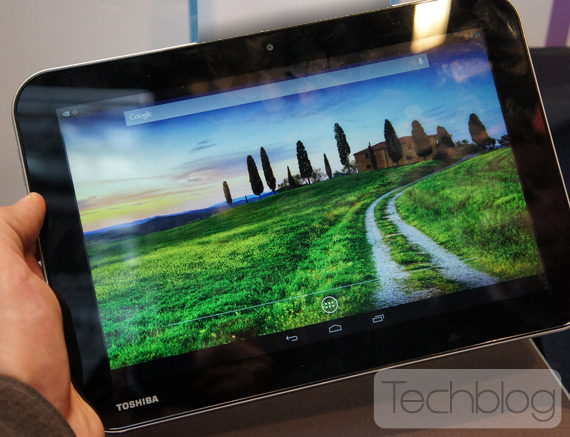 Toshiba is kind of all over the place when it comes to Android. It has released some absolutely fantastic hardware in the past, but the lack of support for said hardware is awfully damning when it comes to recommending its devices in good conscience. Still, it looks like the company is knee-deep in the development of a new tablet, which is currently being called the "AT10LE-A," and is said to be powered by NVIDIA's newest baby – the upcoming Tegra 4. While this isn't the first device we've heard about with T4 roots, it is the first tablet leak we've seen thus far. According to the images – which showed up at Greek tech blog Techblog.gr – it appears to be a 10-inch device sporting Android 4.2.1. One side of the device houses multiple ports, including a microSD card slot, microHDMI out, 3.5mm headphone jack, and what seems to be some sort of tiny charging port. 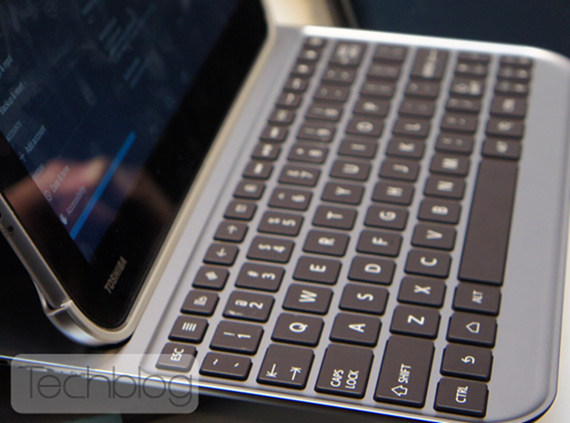 Surprisingly, the AT10LE also looks like it will have an optional keyboard dock, though it's clearly missing any sort of trackpad and doesn't appear to function as a lid. In other words, don't expect a "Toshiba Transformer." There's no word on where this device could make its retail appearance or when it could be available, but considering most Tegra 4 tablets won't be available before Q4, it's probably unlikely that this one will get any action this year.